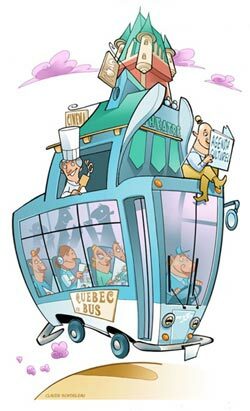 Claude Bordeleau is a Canadian illustrator, designer and cartoonist who has done work for Warner Brothers and Cartoon Networks as well as a number of other editorial and advertising clients. Bordeleau has a springy, lively cartoon illustration style with lots of energy and color that is nicely restrained with precision linework. He uses a rich color palette and often accents his color work with touches of texture. His site includes examples of his illustration, character design, caricature and comics work. Zip and Li’l Bit is a webcomic by Trade Loeffler that is simultaneously quite modern and nicely retro. By “retro” in this case, I’m referring to newspaper comics from the early part of the 20th Century (or “Golden Age”, coinciding with the Golden Age of illustration). I say that partly because of the excellent drawing, which has echoes of classic strips, particularly in the carefully portrayed backgrounds, and partly because of the gentle, whimsical approach to characters and story. The linework on the characters, although it fits nicely with the backgrounds, is crisp and modern, owing more to Bill Watterson than McCay or McManus. This is particularly easy to see because the strip has an absolutely wonderful feature, possible only in webcomics, that allows you to click on any panel and see it enlarged. Loeffler also has a subtle, balanced color palette that he uses quite effectively in service of the story, always keeping the focus on the characters. The nice combination of new and traditional sensibilities, along with the artfulness and craft that goes into the strip, put me in mind of Kazu Kibuishi and Rad Sechrist. The project was originally planned as a printed graphic story, but Loeffler has repurposed it as a webcomic and is posting pages twice weekly, on Thursdays and Sundays. There are only 11 pages posted as of this writing, but the strip is beginning to get some well-deserved attention, already garnering mentions on Bolt City and Drawn!. Illustration Mundo is a portal/blog (for lack of better terms) devoted to illustration. It was created by Illustrator Nate Williams because he felt the lack of a portal site specifically for illustration (as opposed to those which included design, photography, film, etc. as well as illustration). 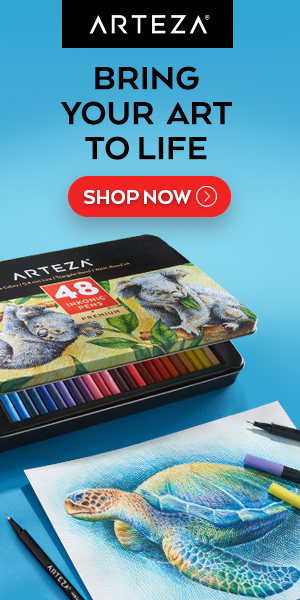 The site has recently incorporated Erik Olsen’s illustration podcast blog Iconic, which features interviews with working illustrators with a focus on their working process. This is a fascinating angle on illustration that is seldom encountered, hearing the artists comment on their work and process in their own words. If you find the main page a bit overwhelming in terms of selections, the site can be accessed in several ways through the navigation at the top. The Articles tab gives you the main articles arranged in reverse chronological order like most blogs (image at left), and you can sort into spotlighted articles, Iconic Audio, print Interviews and so on. The articles are brief, but usually showcase several pieces by the illustrator and, if available, some personal photos. The podcasts that have now moved over to Illustration Mundo from the Iconic site are marked by an icon (what else?) in the upper left. There are also tabs for News and community oriented features like Polls and Forums. On the About page, Williams and Olson invite you to become involved and encourage you to submit news, participate in the forums and place your work in the Illustrator Database. Most of the articles also allow for comments in the usual fashion for blogs. The site also uses a “Favorites” and “User Rating” system to rate the illustrators in the database (by votes, clicks, most tagged as favorites, etc.). I’ve seen this feature on CGI portals and I’m still dubious about the value of such systems. It may help you find something others like and it may cause you to miss things. You might actually do better with a feature like Illustration Mundo’s “100” tab, which serves up 100 random illustrators, with links to their websites, arranged simply as squares captured from their images. OK, so you’re in an art museum shop, nosing through the Impressionist calendars and Cezanne-on-a-cup bric-a-brac, and you notice what appears to be… a cigarette vending machine. “What is this?”, you think, “a MOMA-style exhibition of industrial design?” Hmmm…, you walk closer and it becomes obvious that the machine is not vending death-sticks from the American food-tobacco-drug-&-chemical cartel; it is, in fact, vending art! You look at the machine again. Art-o-mat, it declares in some variation of 60’s modern display script or cartoon-like banner. It’s an art vending machine! Who’d-a-thunk-it? Art-o-mat is a project that started in 1997 with a solo art exhibit by artist Clark Whittington at a local cafe in Winston-Salem, North Carolina (ah, the poetic irony of it all). Along with 12 of his paintings, Whittington installed a cigarette machine, the actual use of which had been recently banned, in which he dispensed his black and white photographs for $1.00. At the point that the show was to close, Cynthia Giles, the owner of the cafe, asked Whittington if the machine could remain, as it had be come a hit. She introduced Whitting to other local artists and they formed Artists in Cellophane, which went on to establish the Art-o-mat project. The Art-o-mat vending machines dispense small original art objects that are the approximate size and shape of cigarette packages, or can be packed in a box with those dimensions. The guidleines for artists interested in participating gives the details. The wonderfully refurbished and redecorated machines are often works in themselves. 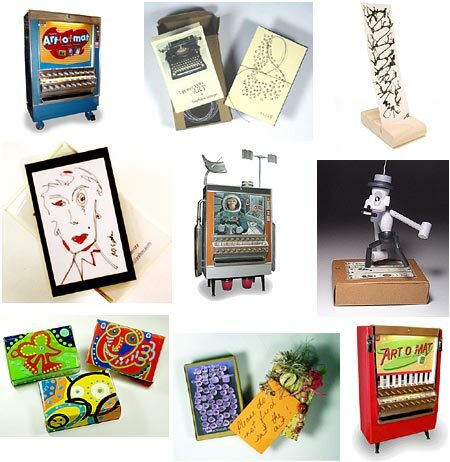 The Art-o-mat project now has over 400 participating artists vending art from 82 active Art-o-mat machines in the US (and now internationally), usually in museum stores and shops in areas where an art-oriented clientele can be found, like whole foods markets and cafes. You can find the nearest Art-o-mat to you on this list. The original machine in Winston-Salem is still there. Art-o-mat art objects allow you to collect original art for $5.00 a pop, not much more than an actual pack of the legally addicting little cancer-tubes, and art is not only much better for you than cigarettes, it doesn’t make your clothes smell like a smoldering garbage heap (well, at least most art). I posted about visual development artist Armand Serrano last month. Since then his web site has had a complete redesign with added material and a much improved interface. I mentioned in my original post that the interface of the old site was a bit frustrating and difficult to use. His new design is superb and could almost be a model for how to display a portfolio of artwork on the web. First of all, the home page gives a succinct description of what the site is about and who the artist is (you’d be surprised how many “high-end” professionally designed sites neglect to do that). The galleries are arranged by subject and once you click on a thumbnail, it opens in the gallery space in the same window and you have a convenient “Next”, “Back” and “return to gallery” navigation; no pop-up windows, no “click to open, click to close” or “click and click back”, thank you very much. Other artists and portfolio site designers please take note. None of this would matter, of course, if Serrano’s work wasn’t interesting enough to make it worth looking through all of the galleries, and of course, it is. He has a rich, textured pencil style in many of his layout drawings for movies like Lilo and Stitch that makes for beautiful tone studies of interiors and landscapes. The interiors in particular have a great feeling for the textures of wood and cloth. His monochromatic background layouts for Tarzan are soaked in rain and overflowing with moss and lush undergrowth, and background layouts for Mulan take their cues from Chinese ink painting. There are also galleries of concept designs and illustrations that feature more of his color work. There are designs that seem to be for fun rather than a specific project, like the wonderfully unusual design for a flying craft above. There are also comic pages from Serrano’s participation in the El Pacifico pirate-themed collaborative comic project in which he is joined by Marcelo Vignali and Marcos Mateu. John White Alexander was an American illustrator and painter in the Victorian era. He studied in Munich and for a while joined a colony of painters Frank Duveneck had established in Bavaria. On the advice of James McNeill Whistler, he continued his studies in Florence, Amsterdam and Paris before returning to the U.S. in 1881. I’ve been hard pressed to find many examples of his illustration on the web, but his portrait paintings are represented in several museum art collections. In his later career, he devoted himself to portraiture and counted Oliver Wendell Holmes, R.A.L. Stevenson and Walt Whitman among his formal portrait subjects, and did a large charcoal portrait of Whistler. The image shown here is of Isabella and the Pot of Basil, a literary theme he shared with some Pre-Raphaelite painters. It’s interesting to compare his elegant theatrical staging of the subject with William Holman Hunt’s luminous and richly detailed take on the same scene. Alexander’s portrait paintings are most often full-length or 3/4 portraits of women, dressed in Victorian finery and occasionally languorously draped across a divan or couch with skirts flowing out in waves of shimmering fabric. You’ll also find examples of portraits of younger women or young girls, and he’ll occasionally sneak in a New Hampshire landscape. Like Sargent, who immediately comes to mind when looking at Alexander’s portraits, Alexander has an open painterly style, at times with broad visible brushstrokes that coalesce into solid realism when viewed from the painting’s intended distance. Also like Sargent, Alexander has a great command of the texture of fabrics, hair and skin with a surprising economy of rendering.